After 9.5 LOOOOONG months of waiting (we all know how patient 4-year olds are), we spent the past few weeks covering paper lanterns in duct tape and fleece, and painting fabric with tea bags. WOO-HOO! The Hubby already had the Poe costume (I made it for our May the Fourth be with you Party), so of course he had to wear that for our photoshoot. I also REALLY wanted to make Captain Phasma armor for me, but there just was not enough time. I’m still a bit sad about that. 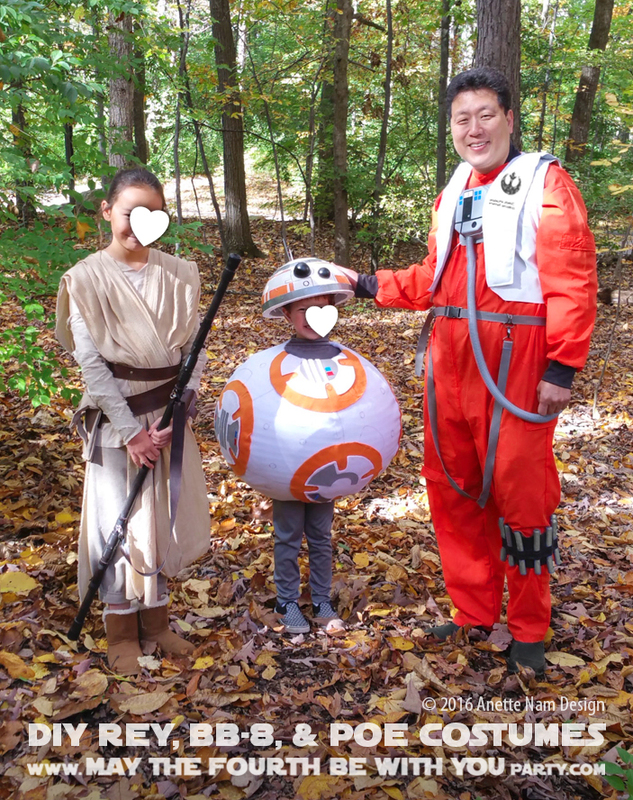 If I finish it for next year, we may just have to take more TFA pictures. Now, Halloween is one of my favorite times of year. Having not grown up in the US, I have to admit the tradition of Halloween itself is a bit confounding to me, but I LOVE the excuse to make costumes and dressing up. 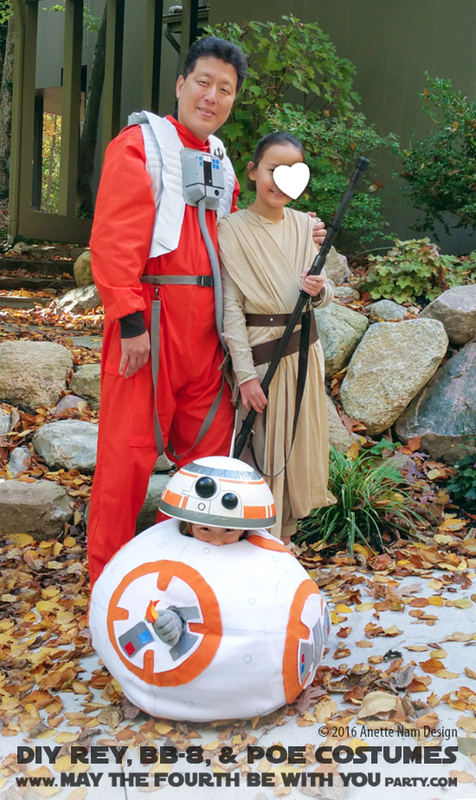 And now that the kids are getting older and more involved, the costume making has turned into quite the family affair. I will write complete DIY posts for all 3 costumes at a later date, but if you have any questions before then, just ask. Want to see more pictures from the photoshoot? Go visit last Friday’s post. Don’t forget, today is the LAST DAY to enter our Star Wars Bracelet Giveaway. Click here for all the details. ..and lastly stay safe at the Trick-or-Treating tonight! Oh, I wish I had them completed! Things have been so crazy around here that I just have not been able to keep up with the posts as much as I want to. It will be completed, I promise, but probably not until next year. 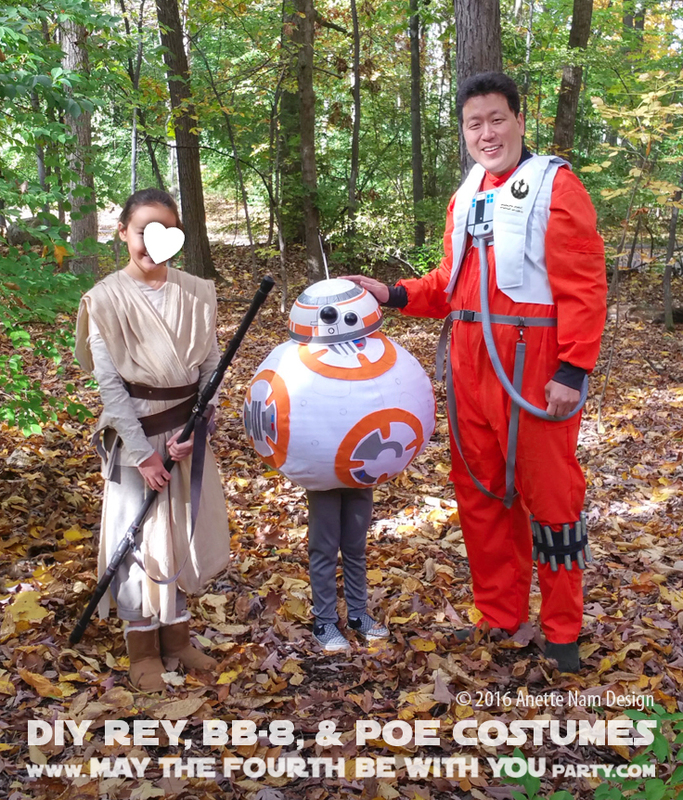 Hint on the BB-8 costume though, it is a giant paper lantern covered in white fleece fabric!